Convenient and adorable, these animal themed “mop slippers” are the perfect for those of you who are just simply tired of having to clean the kitchen floor. Put back that broom and mop- these slippers will do the job for you. PLUS, they look cute and will keep your feet warm. How can you go wrong? 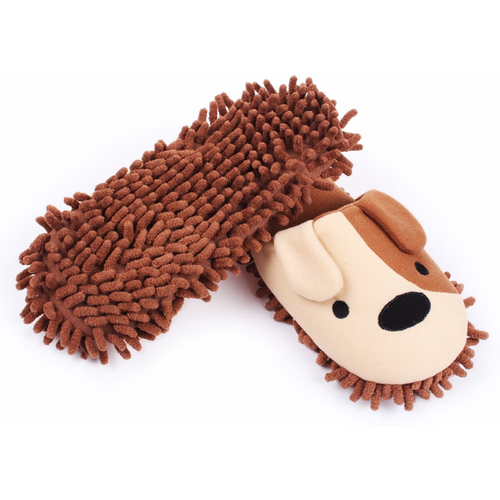 Made of comfortable terry shell fabric, these slippers are warm, cozy and safe for all floors- they mopping slippers easily capture dirt, dust and hair. So whether you’re home alone or entertaining guests, cooking or doing household errands, just throw on these slippers and enjoy the spotless floors!